​ In this article, I would like to present you the study I carried out on locally manufactured torque motor, and the results of this study. Before presenting the results of this study, I believe it is important to provide brief information about the motor. Below you can find the brief article prepared by the company itself about its motors. In order to fulfill the need for drive, generally AC motors and gearboxes, and recently, motors with high number of poles and low speed referred as Torque motors are used in industry. However, these torque motors are not a new invention and principle, and they are manufactured by winding the standard type servo motors with higher number of poles. Since each new pole wound increases the copper losses, the efficiency of the motor is reduced, the wasted energy heats the motor, and this leads to the necessity to cool the motor with water. SQM is the short name we use for our Square Framed Synchronous Torque Motor. This motor operates with a new motor physics developed as the result of the R&D efforts carried out in the last 10 years. This principle differs from the operation principles of all other motors, and it is protected by patent rights. This principle, invented in Germany, was named as LiProKa, and all the R&D efforts and activities required for transforming the patent on paper into an actual motor were carried out in Turkey by our company EMF Motor and Elsim, and 3 different projects were realized with the support of TÜBİTAK. The SQM motors have all the characteristics expected from an ideal low speed motor. Currently, these motors are manufactured with 34 to 112 poles. Although they have 4 poled windings, they operate as if they have poles as many as the rows of magnets in the motor. Thus, they do not have efficiency drops as is the case for motors with numerous wound copper poles, and they are by far the most efficient motors in the world with their efficiency reaching 98%. In industries such as plastics, food, machinery, ceramics, etc., where motors and gearboxes were replaced with SQM motors, energy savings between 25% to 50% were achieved. These motors provide their highest torques at all speeds from zero rpm to several hundred rpm. As long as there is electrical power, they can brake autonomously and do not require mechanical brake. Currently, these motors are manufactured with 1-100 kW power. The SQM motors can be used as servo motors with servo motor drivers. However, at low power levels, they can be used as a synchronous motor without feedback by means of an asynchronous AC driver. What we achieved with the SQM project is inventing a brand-new motor technology, manufacturing it in Turkey and marketing it to the world at a very competitive price without competitors. Thanks to its advantages, our SQM motors will eliminate gearboxes in many applications and provide environment-friendly applications. These motors are the ideal solution in all high-speed and precision applications with their dynamic structure and affordable prices. 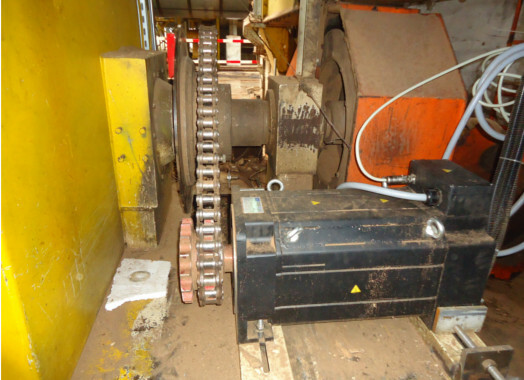 The starting current is eliminated; the motors are capable of starting and stopping at full load as often as required, and they operate without imposing loads and impacts on the mains. The motors do not have cooling fans, which means there is no cooling. I was motivated for this study because of the failures in gearboxes in time (such as gears and ball bearings), oil leakages (decrease in gearbox oil or leaking of the oil into the motor) and the existence of a maintenance cost. While researching for ways to eliminate these problems, I found out the torque motors manufactured by EMF. As the result of our meeting and the devoted efforts of EMF, we decided to make a trial run with a machine at our enterprise. Before this trial run, I recorded the consumption values by means of an analyzer connected to the 22 kW motor+gearbox on the said machine. On the course of the results obtained, I decided to use a smaller motor. Installing a 15 kW motor+gearbox with the same speed, I re-recorded the consumption values by means of the analyzer. As it can be seen, the consumption values decreased. 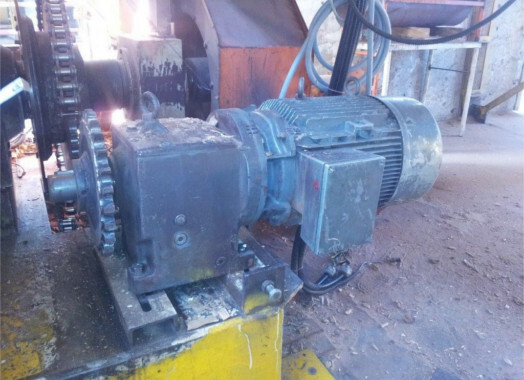 Upon evaluation of both results, a 13.35 kW torque motor was selected and installed, and the consumption values were recorded by means of the analyzer. As it can be seen, the average consumption value of the torque motor is maximum 6,186 kW. It was observed that the torque motor provides 46.48% saving compared to 22 kW motor and 37.99% saving compared to 15 kW motor. I recommend you to carry out a similar trial and observe the results. It is vital to support this locally manufactured motor in order to preserve national wealth. I will be glad to answer your questions about this study, which you can send via e-mail.